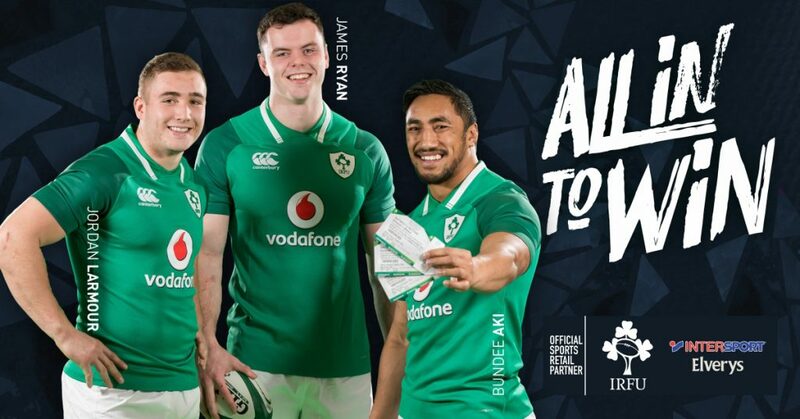 As proud Sports Retail Partner of the IRFU, Intersport Elverys are giving you the chance to go ‘ALL IN’ to win an AMAZING prize – a ticket bundle for you and a friend to attend ALL THREE Ireland’s NatWest Six Nations Championship games at the Aviva Stadium! 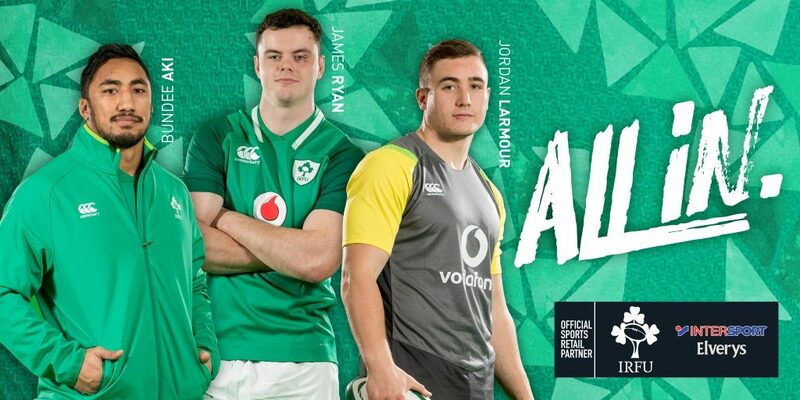 What’s more, we’ll also give you both a signed Irish Rugby jersey! What. A. Prize! Just fill in your details below and answer the simple question. Easy! Winner picked Thursday, 8th at 12pm, good luck!